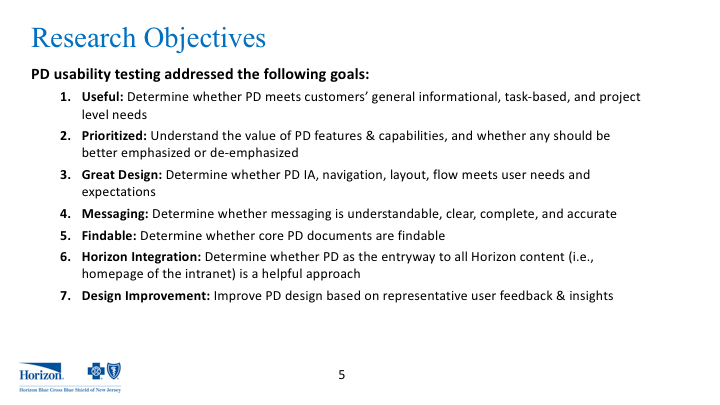 I led a team that prioritized tasks based on business value, roadmap dependencies, and the volume of customers impacted. Using this strategy we were able to quickly identify some big wins. For example, we combined 'claims' and 'explanation of benefits' because they are the same thing! This resulted in a massive simplification of online and offline communications for millions of people. 2. 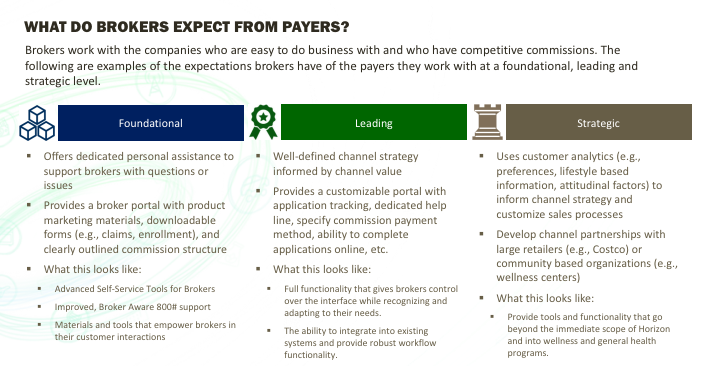 Optimizing The Broker Experience. I led a team that developed a strategy to improve portals used by insurance brokers. The project included ethnographic research, contextual inquiry, participatory design, and remote moderated usability testing. I developed an approach for the project. We did ethnographic research, visiting brokers in their offices, to get a better understanding of their environment. I depicted the user journey visually, making it easier to find problems, identify solutions, and determine which programs to support. We made the data actionable by placing recommended actions along a timeline. 3. Getting Customers To Go Paperless. 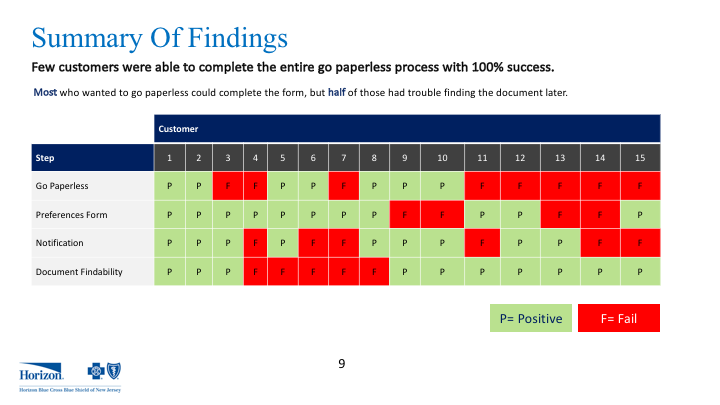 A major insurer wanted to evaluate the current experience for a 'go paperless' campaign and find out how to improve it. I set up a remote moderated usability testing program, including test scripts. 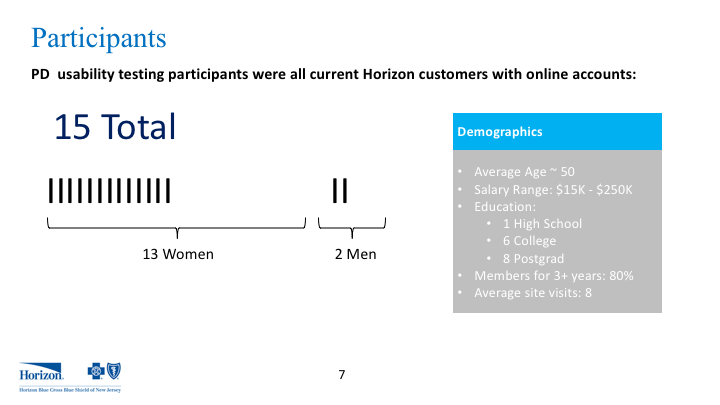 We tested a variety of real customers and gathered their feedback while observing them perform online tasks. It was tiring talking to customers for hours on end. But worth it, because we were able to not only report findings - but suggest solutions. This map shows success / fail points along key paths. 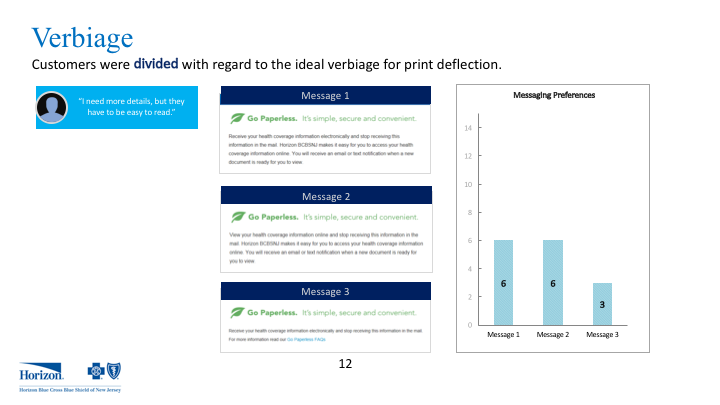 We identified improvements to messaging that create positive customer experiences. Newer PostA Product That Beat Facebook AND Instagram? !